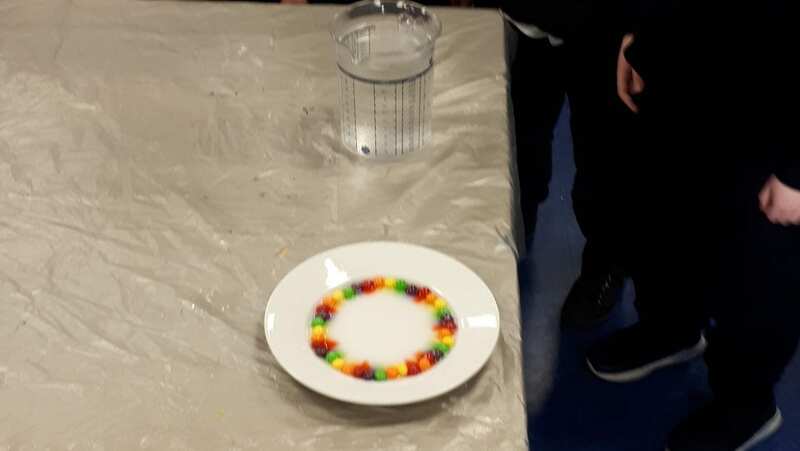 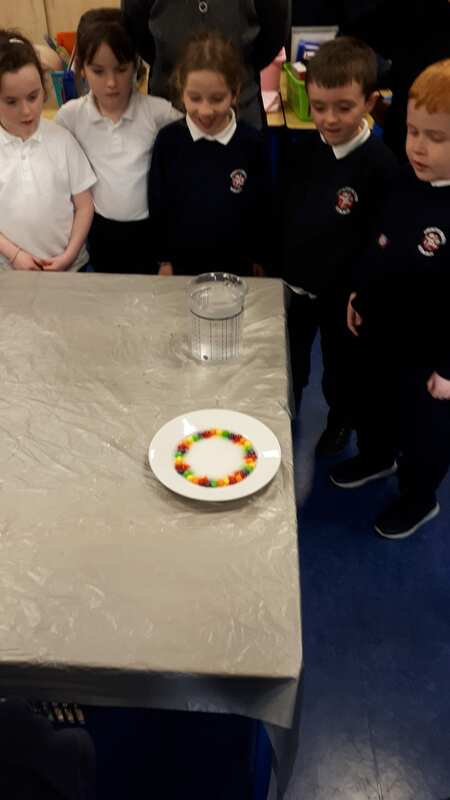 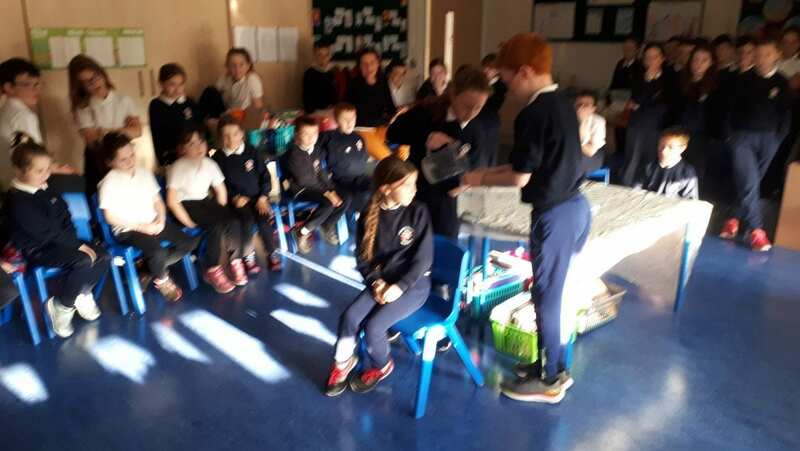 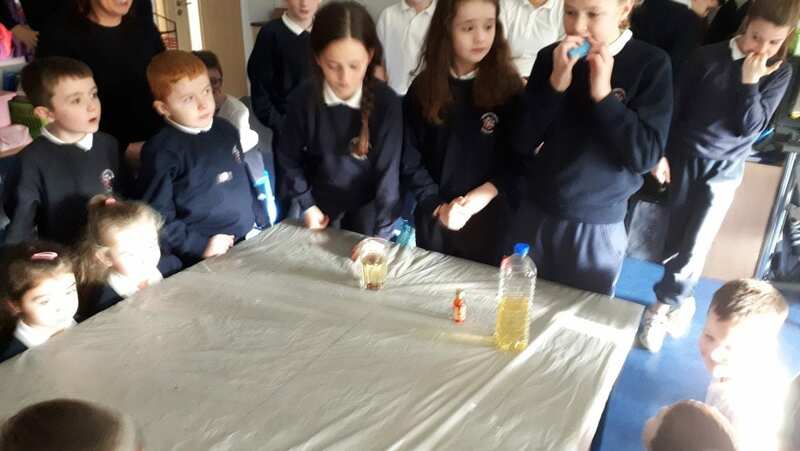 This week we “buddied up” with Ms Molloy’s 1st Class again…this week for some science experiments. 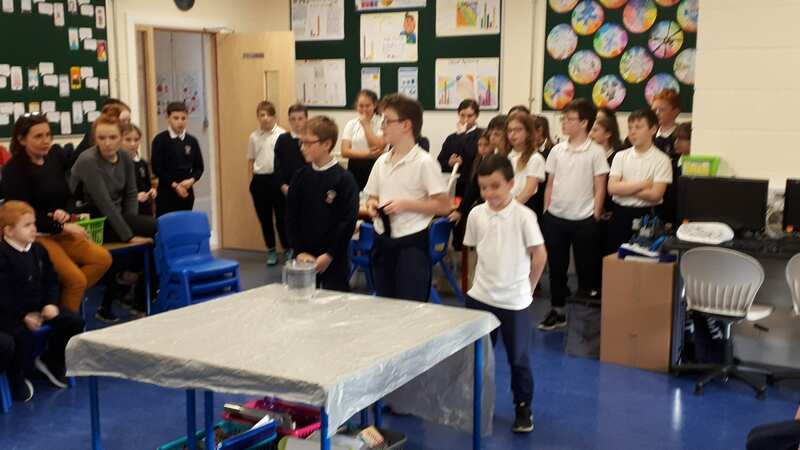 We demonstrated a total of 8 experiments involving chemical reactions, water molecules and air compression. 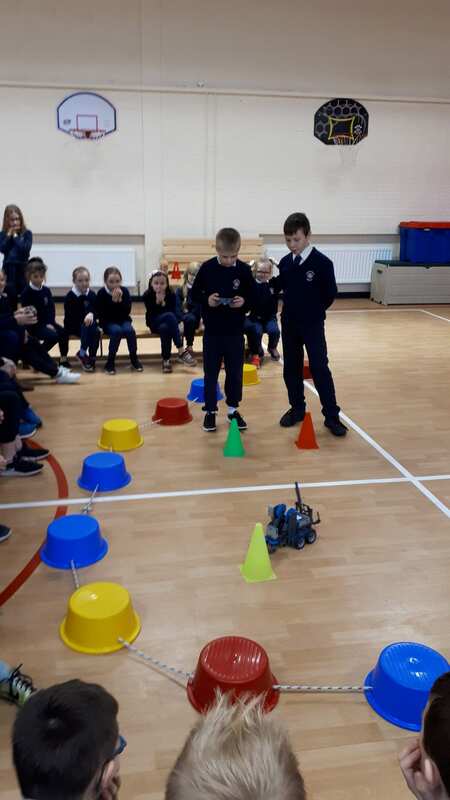 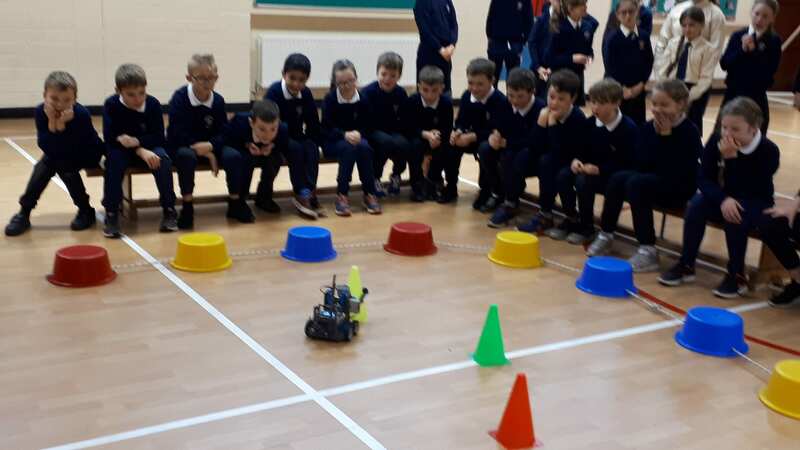 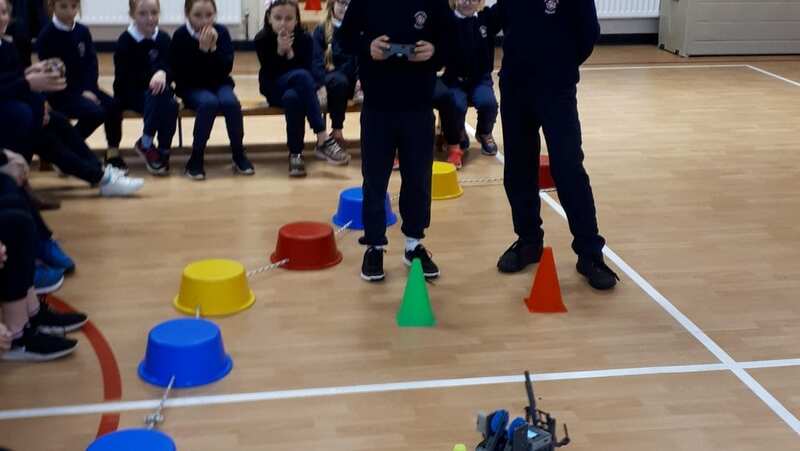 We also treated them, as well as Mrs Evans’ 3rd class and Mr Clune’s class, to a demonstration of our robot that we have built and programmed over the past 3 months in preparation for a regional competition we will enter in January in DKIT.